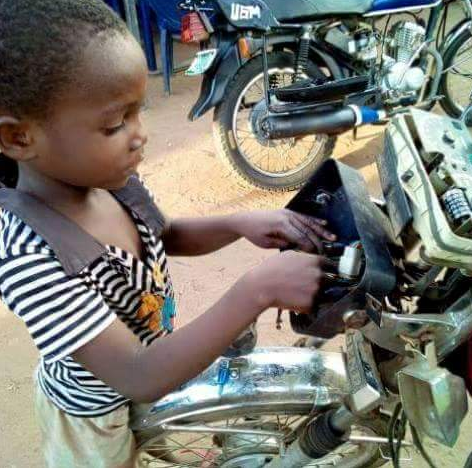 Kiberu Joseph, an eight year old pupil owns a motor repair workshop in Kibaati Town - Mubende District, Uganda. 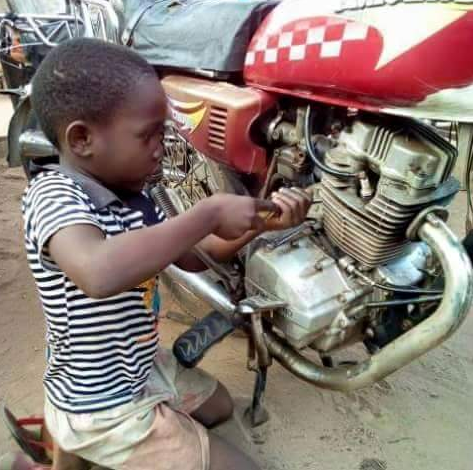 The primary two pupil takes some days off from school to repair motorcycles in order to raise his school fees of UGX 200K per term. 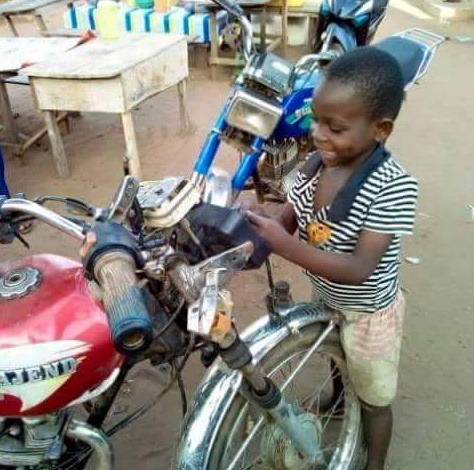 He often hires people to help him run the workshop while at school.